How Far is Supradeepam Annex? A Plot has integrity just like a man. Its value grows among the like-minded people, until life is made interesting and comfortable, adding poise and demeanor with each passing year. A unique challenge, from locating the perfect site to planning and building your dream home is a whole ease with us, MS Foundations. Supradeepam, the new gated community plots could be the one light up your lives. Luxury plots at a best price The luxury plots are pleasantly provided without any snobbery usually associated with a luxurious setup. This lovely place is ideal for your family. Enjoy and feels the warmth & relaxes in a home that’s beautiful and peaceful. Supradeepam Plots has set a trend in providing the best of all services to the residential in terms of infrastructure and design. 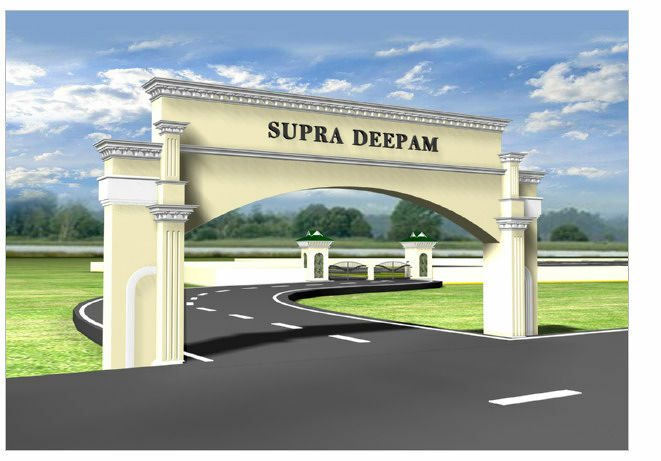 Our Supradeepam plots located on Chennai Outer Ring Road, Poonamallee. Surrounded by the developed areas of Chennai, East by Poonamallee, West by Pattabiram, North by Avadi and South by Thirumalisai. Project on 400 Feet Chennai Outer Ring Road Gated community plots within CMDA Limits Grand Entrance with Arch on State Highway 206 40 & 30 feet wide roads, Green Park & Temple 24×7 Security to prevent unauthorized access Compounded property with 3 years free maintenance Ready 2 Build Plots, surrounded by houses Nearby Ramachandra Maternity Hospital Next to Sri Vidhya Academy International School Just 4 KMS to the Bangalore Highway (NH4) Nearby Pattabiram & Avadi Railway Stations Monorail to connect Vandalur, Poonamallee via Kathipara Bus Stop, Petrol Bunk and other basic requirements are near by and Ground water @ Just 20 ft.